If Lydia Davis knew more people who hung out shirtless in small places and owned pitbulls instead of pedigreed cats, her stories might look at little like Julianna Spallholz’s. Lucky for us, we’ve already got Julianna Spallholz to write those stories. Her debut short story collection, The State of Kansas, is recently out from GenPop Books, and it’s a wonderful, lush read by a drily witty writer. sit at the kitchen table. They use fine point markers. They become excitable. They draft a budget for their business idea. They use imaginary money. Their business idea will not work. Some downtowners work at the little market, some work at the nicer restaurants, and some work at the bike shop. There are some banks and other offices. You could work at the University or at Raytheon, which is a place where they make weapons. A lot of people seem like they don’t have jobs, or like they have jobs that don’t take up too much time. Sometimes you end up getting drunk without meaning to. Entire days go by in bars. Entire weeks and months. The people in the pages of The State of Kansas seem at times something more, or something less, than people. They aren’t quite parable, either – they’re something in between that feels new and fresh and full of secret understanding. The almost parable-ness, comes from Spallholz’s lovely use of language, of repetition, of sing-song-ness. The way she uses language gives a fable-like quality to the rather sharp and subtle observations she makes throughout these short pieces. Both “Your Maid in Real Life” and “The Body” make use of this extreme repetition, causing an almost total de-personhood of the maid, and separating the body from the being inside it. And the fabled quality running through these stories allows Spallholz to do something else, as well, that is rather un-Lydia-Davis-like. She lets her characters, even her narrators, borrow hope. Her stories, then, become lush dreams in spite of themselves. Her stories become places where you find “the feeling of believing that every beautiful impossible thing could be real.” Even if it isn’t. 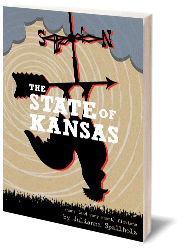 Julianna Spallholz’s debut collection, The State of Kansas, is available from GenPop Books. Ta da! 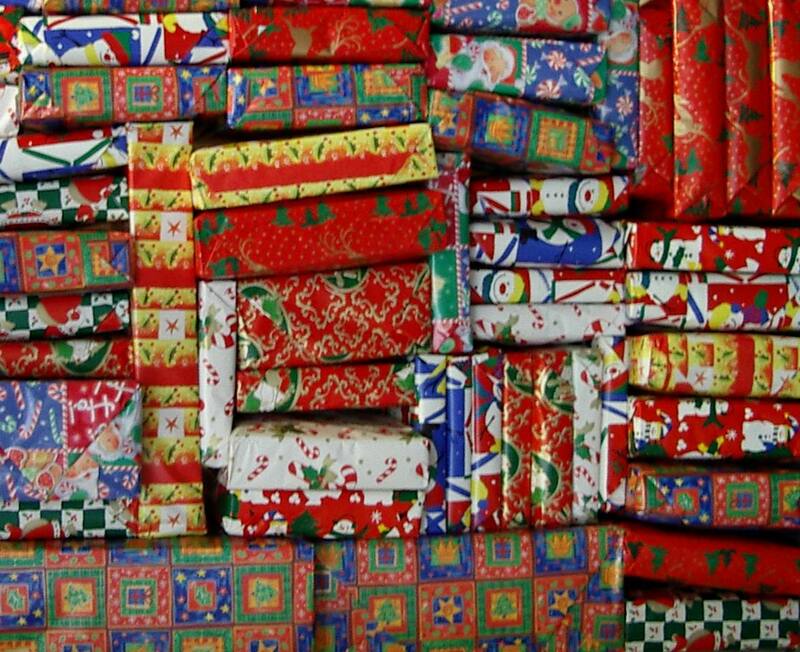 All in one place: your very own literary gift-giving guide. You’re welcome. If you’re like me, you plan on buying some books for loved ones this holiday season. And you’ve been reading all these Facebook and Twitter updates and getting excited about all the holiday specials and deals and sales and then…you promptly forget who or what they were for by the time you buy your gifts. No more! For I have been watching, and paying attention, and taking notes; and I have compiled for you all a certainly-not-even-close-to-comprehensive-but-large-anyway guide to literary gift-giving this year. Merry Christmas or Happy Hanukkah or Happy Holidays to all of you and I hope you can find some great gifts in this list. For the reader who has no time to read: Get him or her a copy of Mud Luscious Press’s Stamp Stories Anthology! Not only are these stories bite-size, at 50 words or less, but they’re also a pretty wide selection of current literary talent in the fiction world today. Speaking of Mud Luscious, one of the best deals going right now is the Mud Luscious Press subscription. For 40 bucks–35% off the cover price–you get the entire set of 2012 MLP titles: Gregory Sherl’s THE OREGON TRAIL IS THE OREGON TRAIL, Matt Bell’s CATACLYSM BABY, Ken Sparling’s DAD SAYS HE SAW YOU AT THE MALL, & Robert Kloss’s THE ALLIGATORS OF ABRAHAM. Yeah. Seriously. For the international philanthropist: a copy of Roxane Gay’s Ayiti. They’ll feel like they’re doing some kind of vague good overseas, and meanwhile you’ll be subversively introducing them to a fantastic literary talent AND some truth-telling about the Haitian diaspora experience. Or pick up the Writers Abroad Anthology – sales benefit The Book Bus, a non-profit aimed at increasingly literacy in Africa and South America. Dalkey Archive Press is selling 20 books for $120 books, which means you can pick up some books for yourself along with stuff for your loved ones, too. And Dalkey’s catalog is immense and terrific, so there’s something for everyone. Black Ocean is offering a subscription to next year’s full catalog for $50,and that means a subscriber gets all this: Hunger Transit by Feng Sun Chen, , Fjords by Zachary Schomburg, Handsome Vol. 4, Dark Matter by Aase Berg, trans. Johannes Göransson, and The Moon’s Jaw by Rauan Klassnik. Yikes. Over at at Uncanny Valley, they’ve got a deal going where if you buy a magazine and give them two extra bucks to cover (part of) shipping, they’ll send one to a friend of yours, gift-wrapped, for free. Again–I love things where you give one AND get one. This is a great (and very pretty) deal: $20 for 8 chapbooks from Birds of Lace Press, plus Anna Joy Springer’s novella. If the one you love needs clothing, bags, accessories–but loves books, might I suggest Out of Print? I love this store for all things book-related, especially the awesome t shirts. And finally, I won’t list them all here, but on Big Other I posted about the best books I read in 2011. Any and all of these would make lovely gifts for the people you like. And even for the people you don’t. I didn’t include links here, but please try to buy from your favorite indie bookstore, online or off. And last, but certainly never least: all of you and your brains. Please leave a comment if your press is having a sale and I didn’t mention it, or if you have a great holiday idea of your own for the book-lovers we know. Thanks! Happy Holidays and happy reading and gifting! Solid Objects is shaping up to be a solid and lively new small press. Their first offering, Master of Miniatures, was a gorgeous and poignant Jim Shepard novella about the special effects wizard at Toho Studios during the heyday of the Gojira (Godzilla) films. Their second offering shares the same eclectic vibe but is a unique creature in its own right. The play-as-poem-as-wordlove by Mac Wellman, Left Glove, is a spirited sprint through the adventure of a single glove, lost and then found. Wellman proves, with deft wordplay and tongue-in-cheek seriousness, that objects can be stars in a universal drama. He uses acrobatic sentences, chants, poetry, singsong, and a Greek chorus (of gloves, of course) to nimbly dance us over the chasm between object and soul, between person, place, and thing. He proves that objects can be funny, fun, and quite serious in their inherent meaning. A mystery. Likewise the place of her birth. Of course, in a way this intentional, repetitive anonymity suggests a glaring absence, a person alienated and more truly lost than our glove. The glove, at least, is promised a mate, for there is always a Right Glove out there in the universe. Indeed, we get a rich, strange life woven around our titular left glove. Our glove is praised, disparaged, prophesied over, made to pass through trials, and finally given a happy ending of sorts. Metaphysical discussion, parody, and play circle throughout the telling. Indeed, a play this fanciful and fun could only have been written by a longtime playwright, someone who has an ear for the music of language and how it works both on the page and on the stage. Corporate speak and choral speak and pop-culture speak are scattered throughout and soaked in the surreal images that make up Left Glove. Did I mention the book itself is an object of art? Did I mention you should absolutely read this book? Because you should and moreover, if you want to get the most out of it, read it aloud. Grab a few friends and a few copies and a big bottle of bourbon and spend the night dancing among the words in Mac Wellman’s lovely meditation on the universe of lost people and things. Left Glove, by Mac Wellman, is published by Solid Objects, and is available at SPD for purchase. I’ve always loved poems about work. The practical essence of survival couched in the sublime essence of poetry seems to me to be a heady, headlong crash in the best, most jarring, wake-yourself-up-from-your-stupor kind of way. And when that work is important beyond measure – when indeed it is the work of keeping us alive – that poetry feels not only jarringly beautiful, but also necessary and true and right. Emergency Room Wrestling is available from Words Like Kudzu Press. For those of you, like me, who are battening down the hatches, hauling bags of ice up to your apartment’s tiny freezer, and raiding the stores for non-perishable goods (and for those of you wondering what non-perishable goods might be and whether you’ll still get Netflix streaming, this might be a good guide for you), you might be looking for something to read during the long, stuck-inside-while-mother-nature-does-her-thing weekend. The Book Bench would like to oblige you with this list of hurricane reading. The Lydia Davis story, incidentally, is one of my favorites of hers. (Terrible grammar, but you get what I’m saying.) Good luck and stay dry and safe! In the morning she learns a new way of crying that uses neither sadness nor tears. See? That’s why poetry or prose (or prose poetry), Sasha Fletcher is one of the best “find-a-new-way-to-say-it” writers I can think of today. In the same category as Shane Jones, Blake Butler, xTx, etc, etc. Newsayers. When you find a new way to say it, I listen. And that’s why I bought Sasha’s gorgeous ripped-up amazing I Ain’t Asked Any Pardon for Anything I Done, from gorgeous ripped-up amazing Greying Ghost press. When I saw that Rachel B. Glaser had a story up at Barrelhouse Online (the same Rachel B. Glaser whose short fiction collection, Pee on Water, was one of my favorite favorites last year) I had to click and read immediately. And I was not disappointed. This story, Lena Adler, will hurt to read. And in a good way. And the last sentence–ouch. Good ouch, but ouch. Truth ouch. The latest issue of Mud Luscious is quite, quite good. And the excerpt from Robert Kloss’s newest book is an absolute must-read. Well worth your time, promise. It may even momentarily distract you from the heat. I am so excited for John Minichillo’s first book, The Snow Whale, published by Atticus Books. Read this excerpt and you will be, too.